Having just given a talk on reproducibility, I am in the midst of responding to reviewer comments about what we did (12 months ago!) and boy can I say every minute of putting this notebook together was worth it. I even found where we ran the entire notebook, so all result files are easily accessible. Beyond praising Claire, I will document my follow up analysis here. Essentially the want more quantitative information on differential methylation beyond .. Here is what was originally done. For example the file named linexon contained 16 exon_intersect_DML_lin_u.txt. 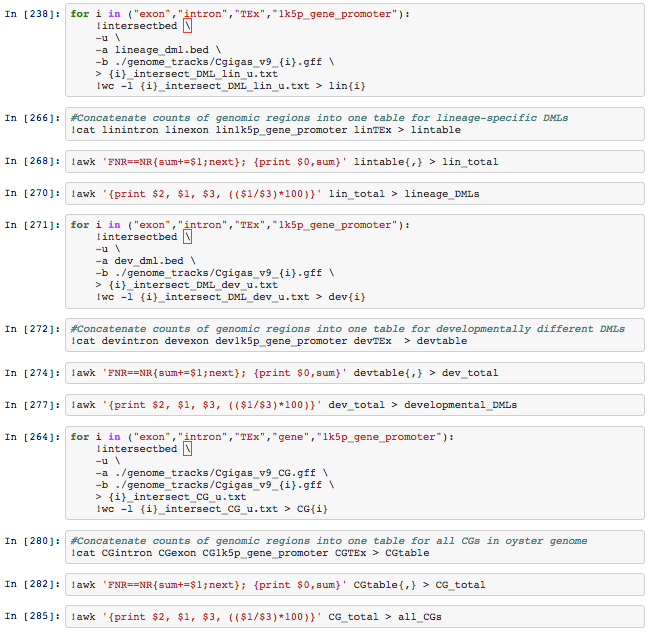 The 4 files were concatenated to produce lintable …. 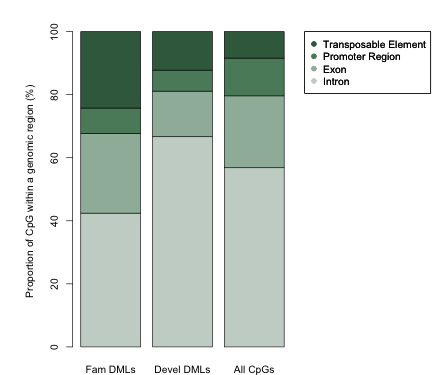 Analogously here are the developmental_DMLs…. To be sure files are accurate, I will intersectbed again. Based on recollection there is likely not a difference in proportion based on all TEs. This brings up a an important point of how to record “negative” data that does not go into a paper. This entry was posted in Cgigas DNA Methylation and tagged bedtools, developmental, dml, family, intersectbed, larvae, olson, review, table, transposable element on 6 October, 2015 by Steven Roberts. Here is a summary of 10 Dramatically Differentially Methylated Regions (DDMRs), that is, those covered in this post that are found across a majority of the oysters exposed to acute heat shock. 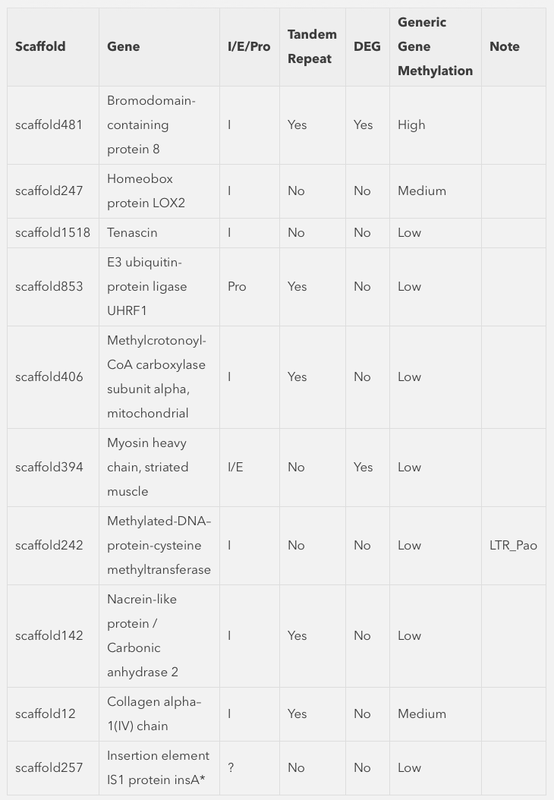 This entry was posted in Cgigas DNA Methylation and tagged gene, heat, summary, table, tandem, te on 7 July, 2015 by Steven Roberts.